About | Aerotropic International Inc. Since 1991, Aerotropic has dealt with special purpose aircraft used primarily to transport cargo in difficult and remote regions such as the Arctic and Antarctic, deserts, jungles, and mountainous terrain. Operators include aerial fire-fighters, military transport, commercial “bush” pilots, remote rescue, and museums/organizations operating warbirds and other historic aircraft. Our customers also fly medical supplies, food and fuel to remote locations and provide aerial support for research in Antarctica. Among the aircraft we have supported are DeHavilland Twin Otter, Caribou and Buffalo, Douglas DC-3/C-47 and DC-6, Fairchild C-123, and Curtiss C-46. They share the ability to land and take off in difficult places with little or no ground support. Aerotropic owns and/or manages several aircraft parts inventories warehoused in Florida and Maine in addition to maintaining long relationships with repair and overhaul facilities. We also have a large inventory of brake linings for the DC-3, DC-6, C-46, and Convair. We are the exclusive manufacturer’s representative for sale of products manufactured by Serval Aviation, Inc. for several U.S. made aircraft. 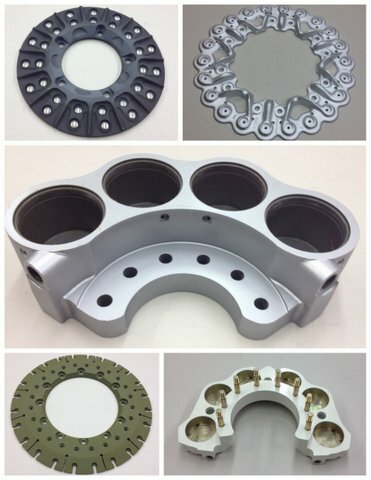 Serval has manufactured aircraft brakes, wheels and landing gear for over fifty years, including DC-3, Boeing 707 & KC-137, C-130 Hercules, S-2 Tracker, OV-10 Bronco, F-4 and F-5. Customers include U.S. aircraft manufacturers, and U.S. & foreign militaries. Aerotropic International and Serval Aviation are both woman-owned small businesses.